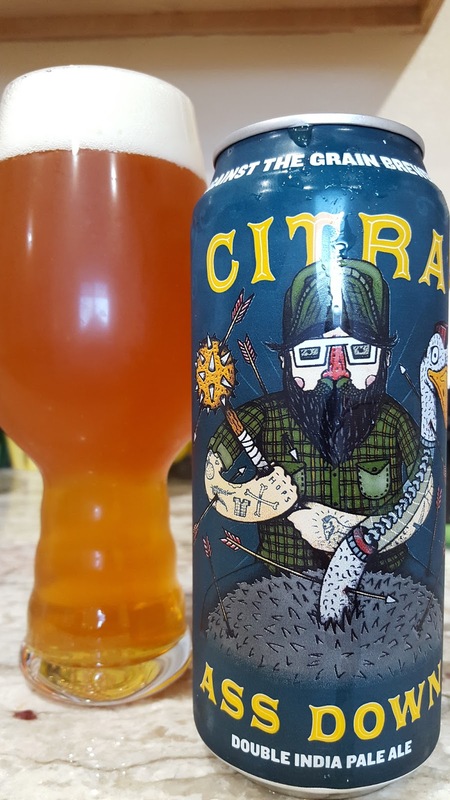 In honor of the latest Louisville basketball controversy, I think it's appropriate to review a beer from Louisville, and I'm a sucker for DIPAs in the 16oz can format. The amazingness of Heady sent a shock wave through the beer community that I think we're just starting to see reflections of. This seems more-or-less like an attempt at a Heady clone, but nobody beats the Wiz! It is damn fine though, and probably ridic fresh at the brewery. 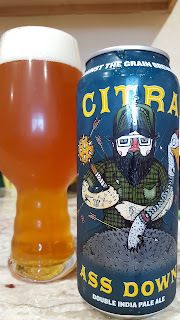 Quite a well balanced offering that does better in the glass, IMO, even if the name has that classic dumb-hop-pun feel. 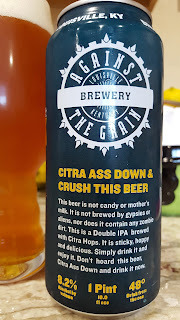 Its's a bit too sticky sweet at the end to be really amazing, but it's stiff, and hoppy. I'm down with it FO SHO, plus it's got hella good NSP.